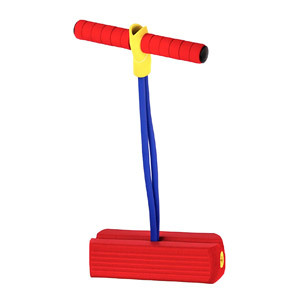 The Kidoozie Foam Pogo Jumper is an interesting cheaper alternative to the traditional pogo sticks, mainly for toddlers but older kids or parents can enjoy it as well. Absolutely safe and easy to use. 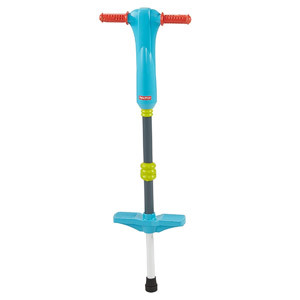 The Fisher-Price Grow-to-Pro is a great pogo stick for all young starters thanks to the large removable base that will help with stability during their first jumps. Also it is sturdy, durable and safe. 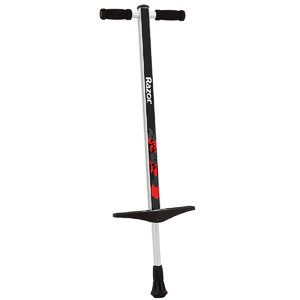 The Razor Gogo is a good pogo stick for kids above 6 years – it’s well made, durable and the frame is sturdy but also lightweight. On the other hand, many users report the spring is just too stiff. 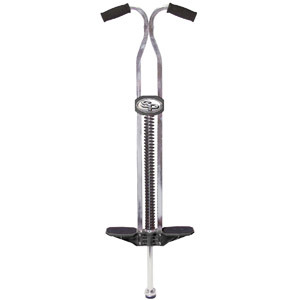 The Flybar Super Pogo is a universal pogo stick for teenagers, adults or seniors – very good both for beginners and extreme pogo enthusiast. If offers sturdy construction, nice grip on foot pads and durable rubber tip – plus it isn’t overly expensive. 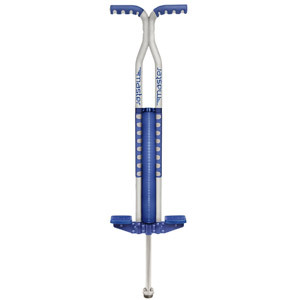 The Flybar Foam Master is a great pogo stick for anyone who wants to start with this activity – older children, women or even men up to 160 pounds. It’s sturdy, safe and durable, you can choose from various color designs and even order spare parts. 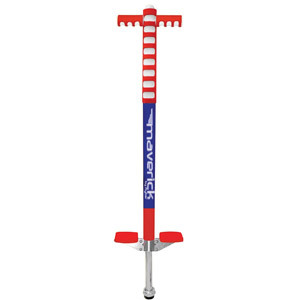 The Flybar Foam Maverick makes an ideal introduction to pogo stick jumping for young kids – they will love this toy! It’s sturdy, safe and durable, you can choose from various color designs and even order spare parts.